On top of the stress, carers often experience social isolation, sleep disturbance, depression and anxiety. 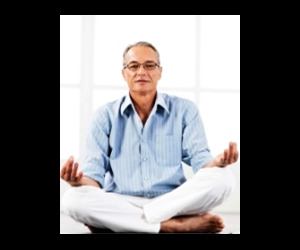 Understanding if regular meditation can relieve the burden of stress on people caring for dementia sufferers is the focus of a new study being led by the University of South Australia. With more than 266,000 Australians now suffering from dementia and numbers expected to rise sharply as our population ages, UniSA’s Dr Matthew Leach from the School of Nursing and Midwifery and lead investigator, says the well-being of those caring for dementia sufferers does not receive much attention. "What we know is that caring for a person with dementia can be an unrelenting, physically taxing and highly stressful role," Dr Leach said. "On top of the stress, carers often experience social isolation, sleep disturbance, depression, anxiety and a reduced quality of life." Researchers at the University of South Australia are looking at whether transcendental meditation (a deep relaxation technique) and healthy lifestyle education can help to reduce stress levels and improve the quality of life of dementia caregivers. "Previous research from overseas has shown relaxation therapies, such as meditation, may be effective in reducing stress and anxiety", Dr Leach said. "What we’re hoping to discover is whether transcendental meditation or healthy lifestyle education can improve quality of life and psychological function in dementia caregivers." UniSA researchers are recruiting for the study now. "We are looking for carers of dementia sufferers who have not received previous instruction on the transcendental meditation technique, do not regularly practice any relaxation technique, and are located in or near the Adelaide Hills area," Dr Leach said. 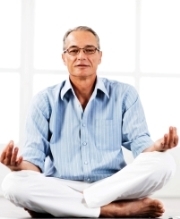 During the 24-week study, carers will receive instruction on the transcendental meditation technique or complete a healthy lifestyle program, and will be required to complete several brief questionnaires and basic psychological tests. "In future we hope to see that these simple strategies could complement and perhaps reduce the need for other forms of intervention to assist many of the growing numbers of caregivers to cope with the demanding and often difficult caregiver role," he said.